On April 22nd 1972 David and I got married and came to Italy for our honeymoon, as we had already developed a shared love of this beautiful country. We decided that we would like to celebrate this years special Ruby Wedding Anniversary and forty years of marriage quietly just the two of us. 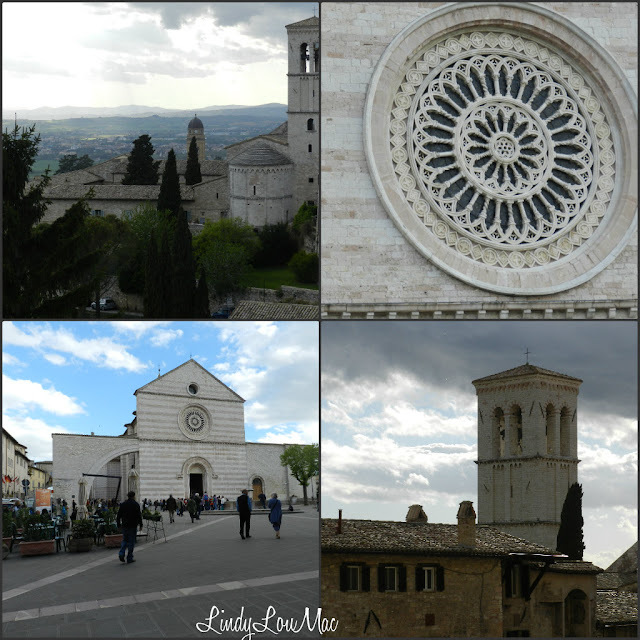 We chose Assisi as somewhere we would like to spend a few days. 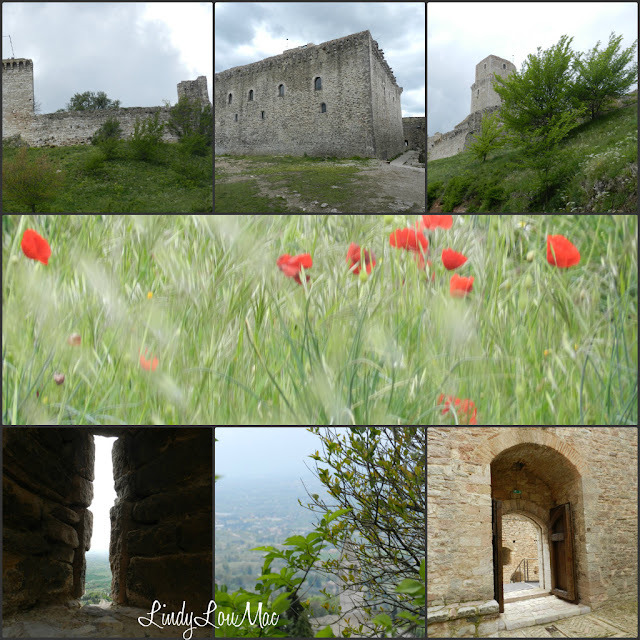 We spent two nights there at the Hotel Pallotta which I have posted about specifically in the last post here on Travel Tales. 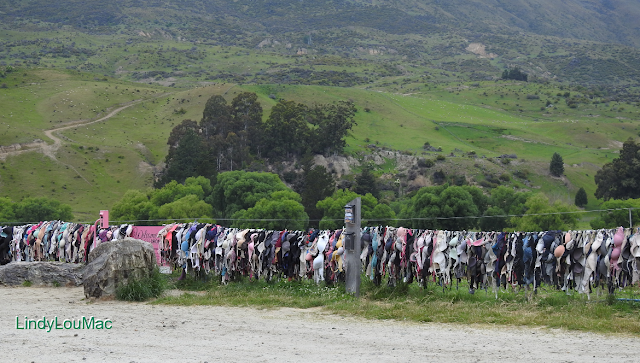 It was the perfect choice, not very far away from us to drive but rather than do a tourists rush exploration we had time to stroll around and soak up the atmosphere, which I hope to share with you via this selection of photographs. 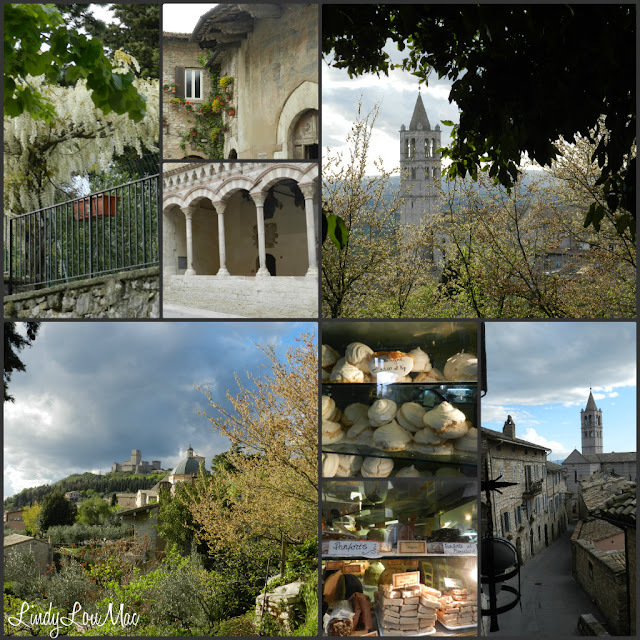 We did visit a couple of other Umbrian towns on the way to Assisi and on the way home again which I hope may be the subjects of other posts sometime. 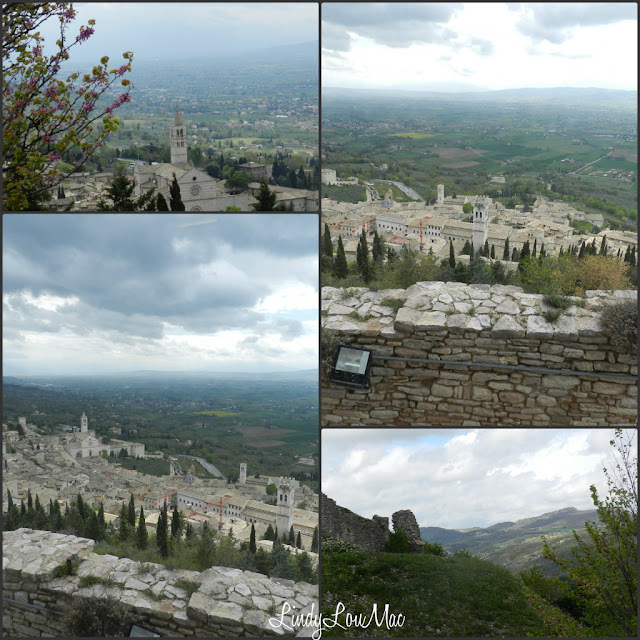 Assisi is a town and local commune (council area), in the province of Perugia in the region of Umbria on the western slopes of Monte Subasio at 400 metres. The town is built of white and rose coloured stone and has retained its charm for many centuries with its narrow steep and winding roads. Despite the many tourists, wander away from the main areas and you are taken back to another era. 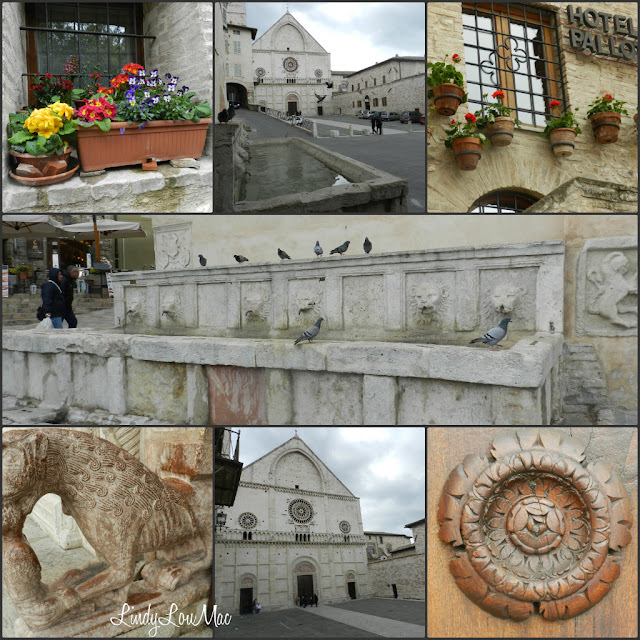 Famous as the birthplace of St Francis, who founded the Franciscan religious order in Assisi in 1208 and St Clare who formed the Poor Sisters, later known as the Order of the Poor Clares. 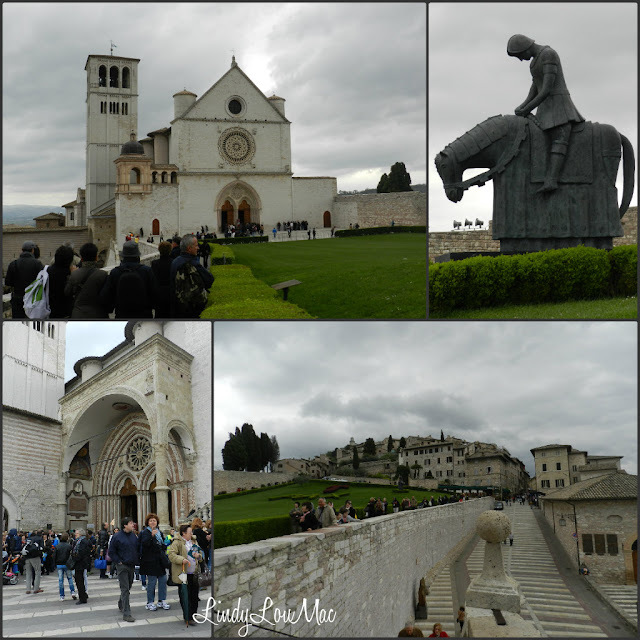 Assisi contains many examples of the genius and creativity of the human race stretching right back to the Middle Ages, so it is no surprise that since 2000 the town has been listed on Unesco's World Heritage List. 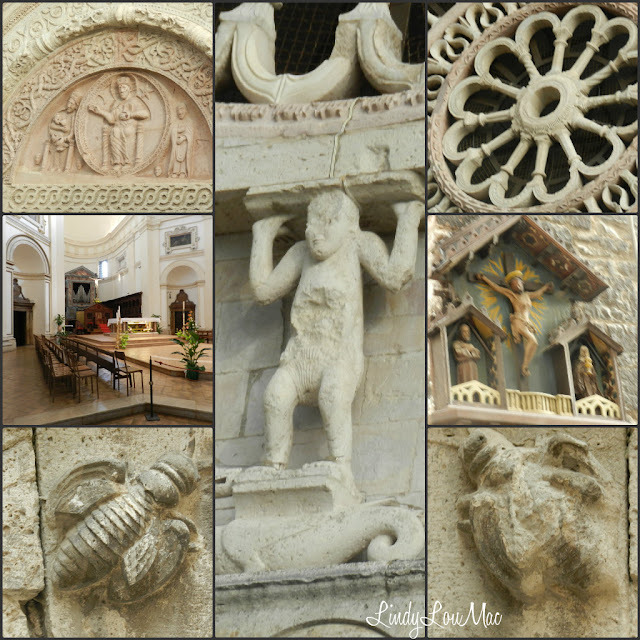 As mentioned earlier this collection of collages of my photos are casual shots taken during our wanderings so I have left them unlabelled for informality. The main tourist attractions are all easily identified from guidebooks in print and on-line for those of you not already familiar with the town. My intention is just to try and share some of the atmosphere via the photos not provide a historical or factual post. 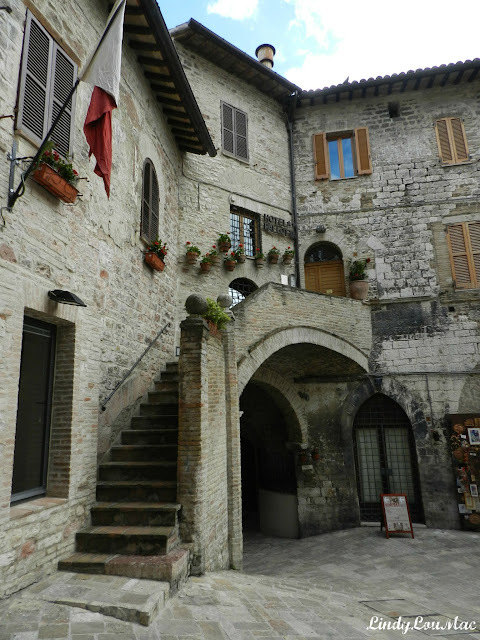 There are plenty of sources for those of you that are interested in reading more about the history of Assisi, stating with Wikipedia and Assisi Online. 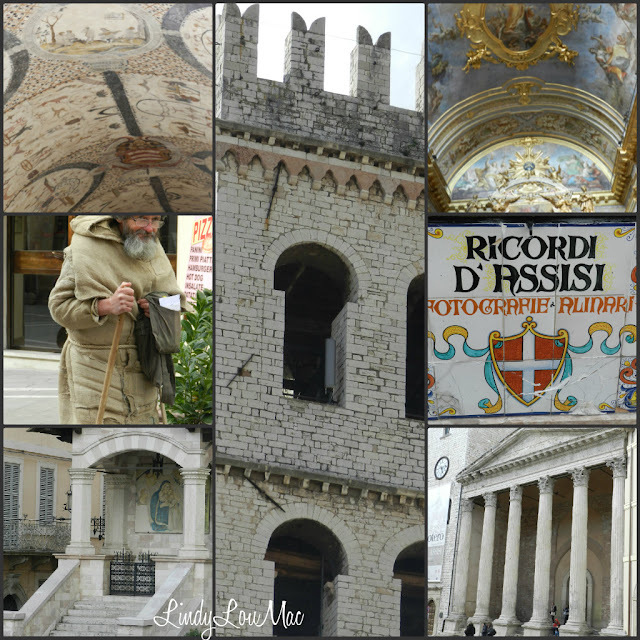 That is the end of the Assisi tour as seen through the lens of my camera, which I hope has been of interest. I also publish posts that are about our travel within Italy on my other blog News From Italy. 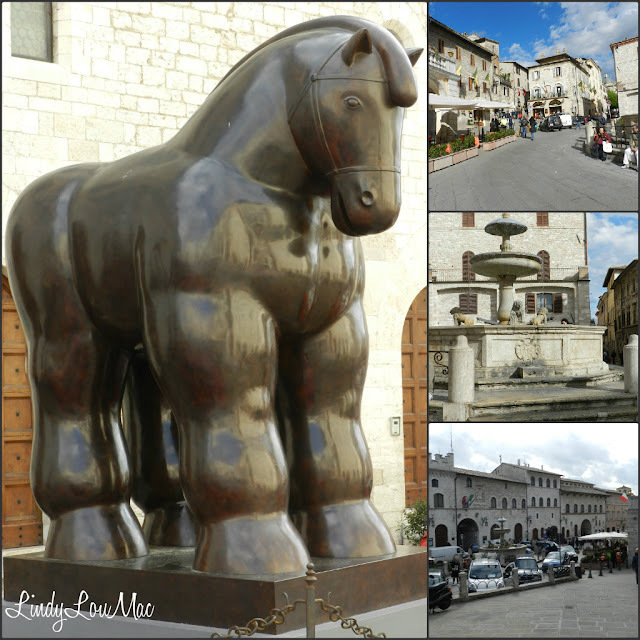 If you have a love of Italy and would like to learn more about our everyday life there I welcome you to join as a follower. I love it, Lindy! 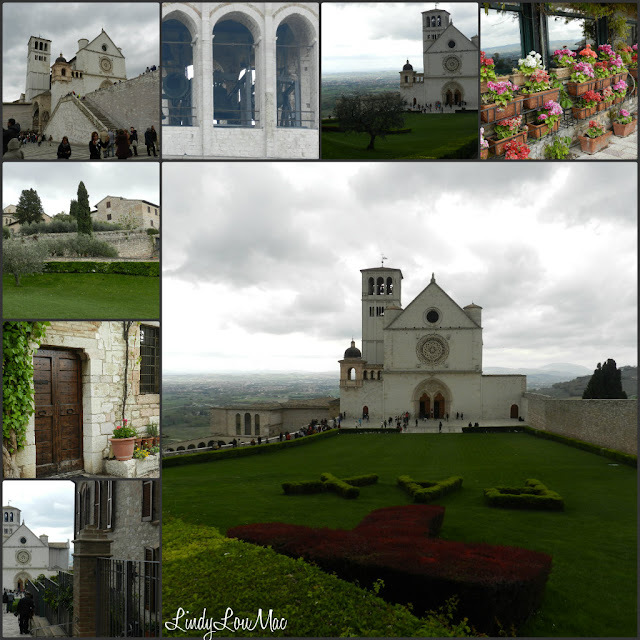 I've never been to Assisi myself, but it looks so beautiful, I really want to go, now! The photos are fantastic, Lindy! 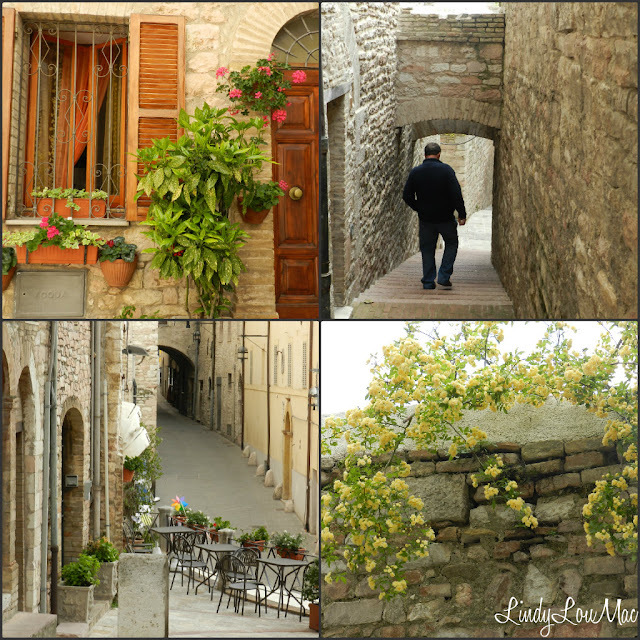 I'm so glad you love Italy as much as you do! I think it's wonderful! Great photos Lindy. Thank you too for your super comment on my post re Kindle and iPad. I will look into Blogsy and the thing you can use to import photos.